When Apple first announced the addition of multi-touch to the iPod nano, some pundits were skeptical about the elimination of the click wheel and physical buttons for playback control. Of course, Apple Chief Executive Steve Jobs was confident that users would love the new control scheme. "This is the biggest reinvention of the iPod nano since its debut in 2005, and we think users are going to love it," Jobs said in a press release announcing the update. "Replacing the click wheel with our Multi-Touch interface has enabled us to shrink the iPod nano into an amazingly small design that is instantly wearable with its built-in clip." Though initial reviews of the sixth-generation iPod nano were generally positive, some reviewers criticized the need to look at the iPod nano's display to control playback. 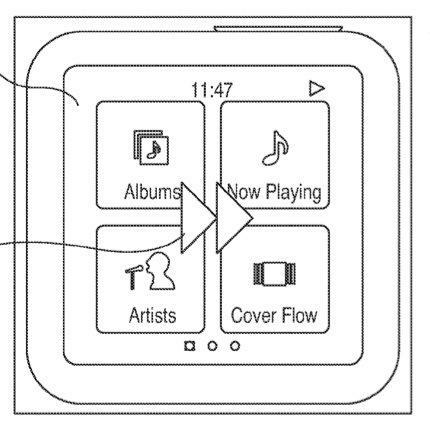 A newly revealed patent application shows that Apple has already looked into the issue and could be planning the addition of 'no-look' touch gestures to the iPod nano and other multi-touch devices. The application describes several multi-touch gestures that could be used to control a device without looking at the screen, or, more radically, to control a device without a screen. 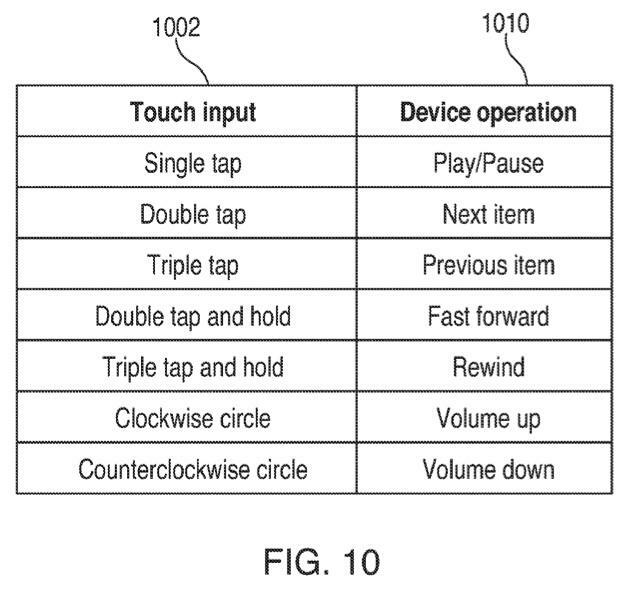 Specific gestures mentioned in the filing include a single tap to play or pause, a double tap to advance to the next item and a triple tap to return to the previous item. To fast forward, users would double tap and then hold, and to rewind, users would triple tap and hold. Volume would be controlled through clockwise and counter-clockwise circular motions. While the patent application does not specifically reference the iPod nano, several figures accompanying the application depict the form factor and interface of the current-generation iPod nano. However, the images lack the hardware volume buttons of the latest iPod nano. The application was filed on Jun. 25, 2009, over a year before the release of the multi-touch iPod nano, and published on Dec. 30, 2010. Duncan Kerr and Nick King are listed as the inventors. A teardown of the sixth-generation iPod nano, which comes in several different colors and starts at $149, estimated the device's bill of materials at $43. The latest nano was recently hacked, though the hacker was only able to access the device's plist files and remove an application, creating a blank space on the home screen.